(AP) Minnesota Timberwolves Presi­dent Flip Saunders says the team “fully supports” the decision to send first-round draft Shabazz Muhammad home from the NBA's rookie transition program due to a rules violation. Muhammad was sent home after bringing a female visitor to his hotel room Tuesday night. Players are required to get approval for guests from program officials. Muhammad also will be fined for the infraction, which was first reported by USA Today. He will have to go through the program again next summer. 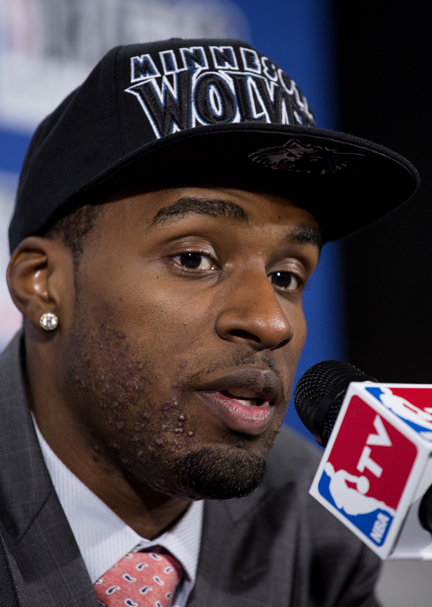 Muhammad was chosen 14th overall by the Timberwolves in June after one season at UCLA. The rookie transition program is a four-day seminar that is held to help teach young players about making the jump from college, or overseas, to the NBA.